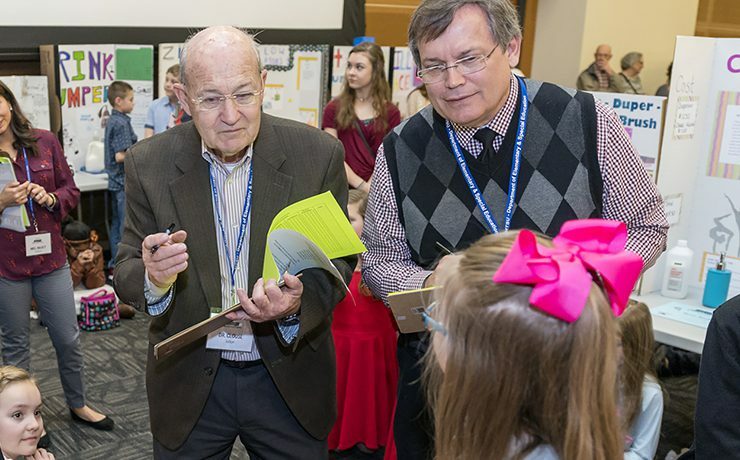 If you’ve ever wondered what the future looks and sounds like, come to an event like MTSU’s 27th annual Invention Convention. 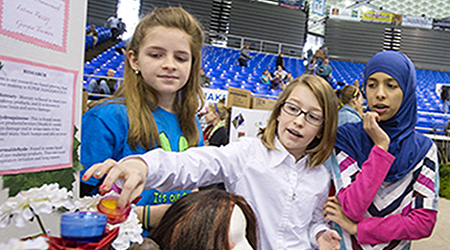 A ponytailed future CEO..
Young Middle Tennessee inventors apparently have developed quite the reputation among national Invention Convention leaders and participants. “Tennessee grows some really, really smart kids,” Juli.. 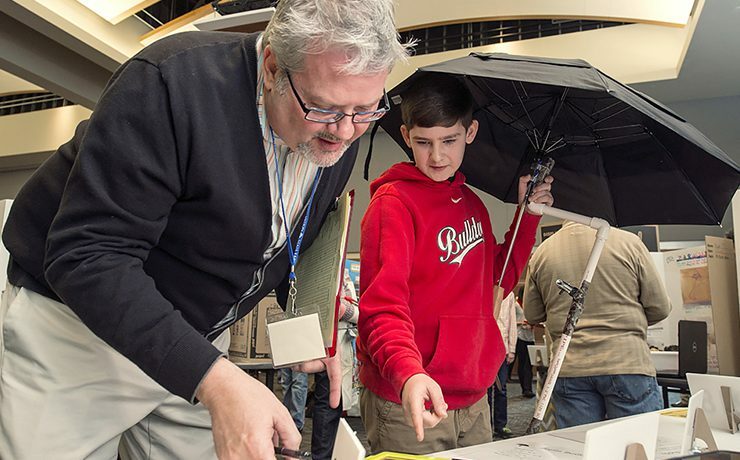 They spent the last few months brainstorming, collaborating and implementing their ideas, so the 630-plus young Midstate inventors were ready to burst when they crammed.. 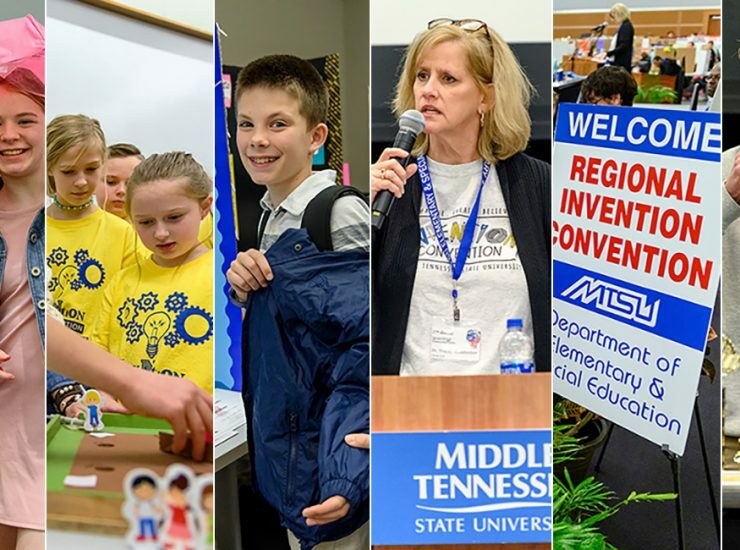 The time-crunched, stressed-out world is waiting for the solutions created by 480-plus “brilliant” Midstate youngsters at MTSU’s 24th regional Invention Convention Thursday, Feb. 25, observers..
Best snow day ever? 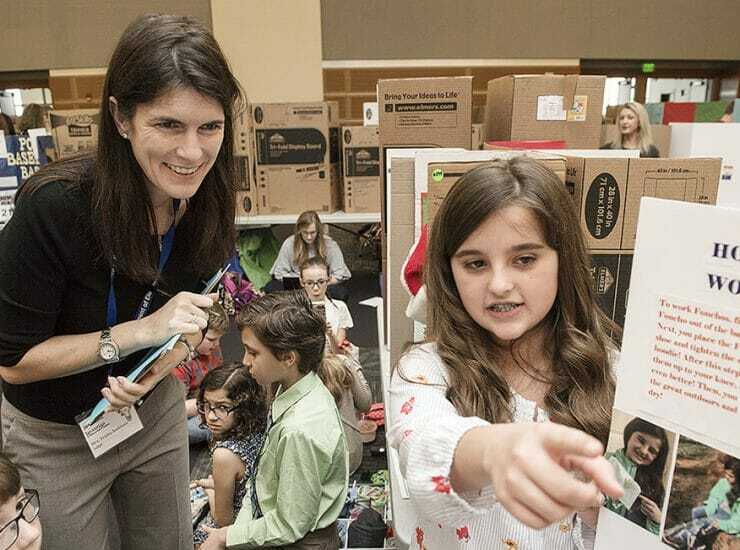 Ask 200-plus young Midstate innovators who spent their morning at MTSU’s 23rd annual Invention Convention Feb. 26 for their top four.. 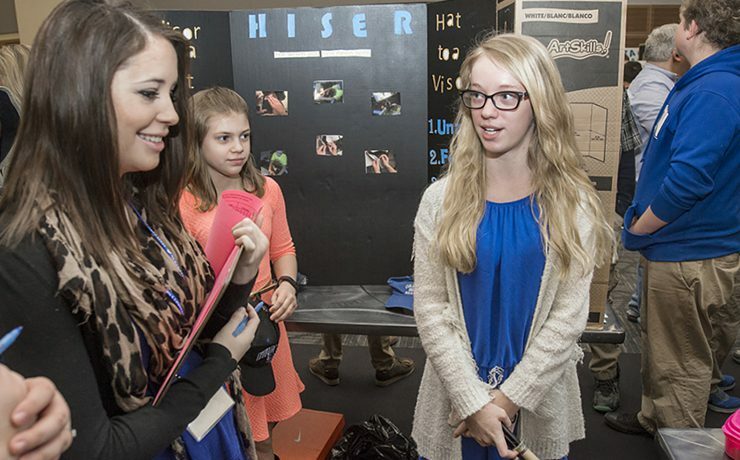 The 2014 Invention Convention at MTSU marked its 22nd year by showcasing inventions from public-and private-school students in the fourth, fifth and sixth grades from..
A video projected on screens in the crowded ballroom of MTSU’s Student Union Thursday showed footage of the Invention Convention through the years, capturing young.. 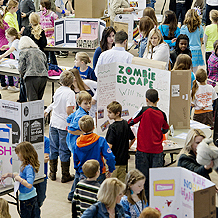 The 2013 Invention Convention at MTSU on Feb. 28 marked the event’s 21st year and featured more than 220 one-of-a-kind inventions from 431 young geniuses.. 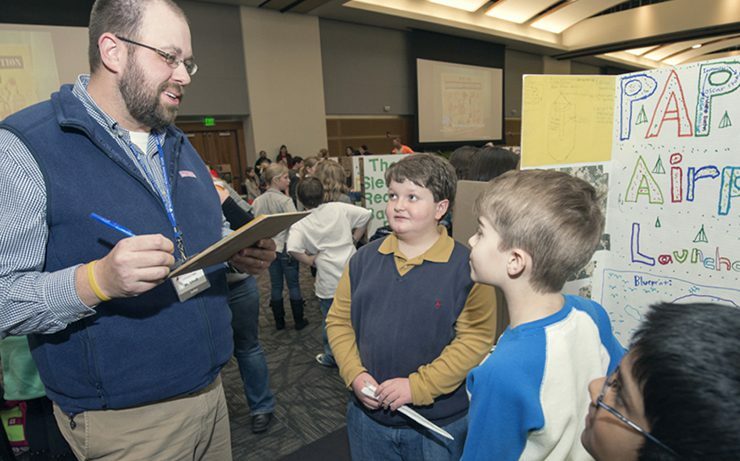 Hundreds of supportive teachers and parents from across middle Tennessee gathered in MTSU’s Murphy Center Feb. 23 to support an impressive group of bright and..